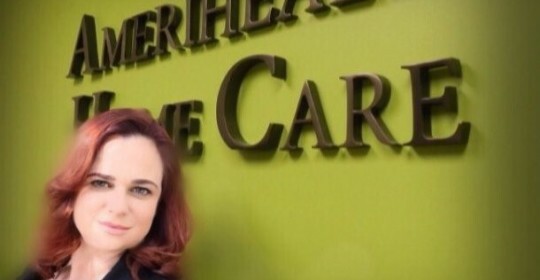 The premise that led Marisa Álvarez Martínez to create the company Amerihealth Home Care in the year 2007 was the love that she felt for her grandparents and the respect for the elderly that her parents instilled in her. The enthusiastic owner of Amerihealth Home Care, a Miami based company that provides in-home elderly care services, tells us that two of her grandparents are still living, Maria Amelia Vásquez, 90, and Maria Dolores Álvarez, 92, who are cared for by personalized care from her firm, along with hundreds of other grandparents who receive equal treatment in their own homes. “This is one way to return so much of their love”, she reflects. A study of the market and the experience of working for large global companies, where “efficiency” is the law, led her to conclude that Miami is not the exception of many places in the United States that have an urgent need for companies specialized in elderly care. “The reality is that now our elderly are living a lot longer and many families are unable to take care of them. Thus companies like ours become a necessity and a great support. — But what makes Amerihealth different? -Prevention and our quality of service. We offer services to our elders that include, among others, from offering companion, to bathing, giving them their medicines, and treating any wound. We avoid having our grandparents sent to a home (nursing homes) and believe in providing in-house care as an alternative. Our staff is highly qualified and equipped with a high sensibility. We perform a thorough selection of our personnel. A rude or poorly compassionate professional would never be a part of this company. We are very demanding when it comes to hiring. We like helping others, making them feel good and the testimony of our patients and their relatives is palpable proof that we are accepted and are doing a good job. For Marisa, another quality that makes them different is the extreme attention to big details. For example, it is very important to know the culture and preferences of the patients. “It so happens that here in Miami we have people from many countries, thus, we take into consideration their nationality. If a person is of Central American origin, we send them a nurse who could be from one those countries, since this would make it easier for them to speak about their customs and relate to them, someone that could speak their same language”. —Do you consider yourself to be a winner in your community? -“Yes, because our work is full of passion, love for our community and for us the most important thing is the service we offer to our patients and their relatives”. Of Cuban parents, but born in Miami and with specialization in Marketing from Florida International University, Marisa, transmits these teachings of love for neighbor to her three daughters, who one day we are sure, when their mom reaches retirement age, will take the reins of Amerihealth Home Care, a legacy from their mother. Keep the Instructions- Keep the instructions/operating manuals that come with your electronic gadgets. When it comes to moving or having to manage electronic gadgets, this will allow you to reassemble everything correctly after you improvement your electronic gadgets to a new place. Keeping the instructions and operating manual will also help create sure maximum performance levels after everything is moved and reconnected. Pictures are Worth a Indian native and Words- Some people are visually minded, preforming better when they can actually see something as a blueprint. With this under concern, it is always a sensible idea to take a picture of the assembled electronic item before moving it.